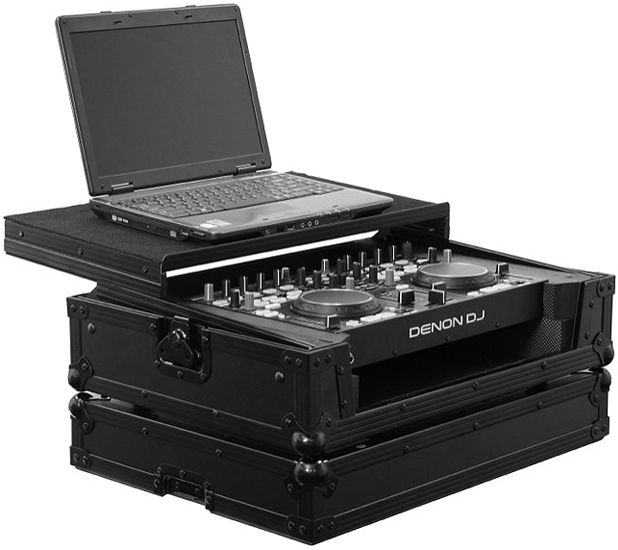 The Odyssey Flight Ready® FRGSDNMC36000BL case is designed to hold either the Denon DN-MC6000 or DN-MC3000 DJ MIDI controllers and features our patented Glide Style™ laptop platform. Each FRGSDNMC36000BL case has enough room underneath the controller to store cables and other essentials and also features rubber feet, ball corners, heavy-duty recessed handle and latches, and a front removable panel for easy access to the front input jacks. A Black Label™ version (FRGSDNMC6000BL) and versions without the gliding laptop platform (FRDNMC36000 and FRDNMC6000BL) are also available. Controller Compartment is: 18.375" x 10.25"
Controller Compartment with DN-MC3000 foam attachments: 15.75" x 10"